When you test as much software as I do on a fairly regular basis, you tend to notice which apps you rely on and which ones fall off your radar after a while. 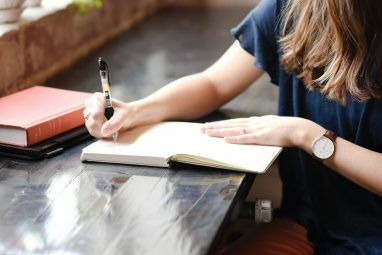 Evernote, which is a handy note-taking and web clipping utility, isn’t necessarily one of those apps that I’ve been using regularly, but it is one that I keep coming back to again and again, and I’m always looking for ways to incorporate it into my routine. Did you ever notice how the most popular apps & platforms have lots of additional add-ons and extensions that were created for them? Evernote is no different – check out the Evernote Trunk and you’ll see. In this article, I’ll show you a few of the simple applications that will help you do even more with Evernote. While it’s easy to copy text from a website to read later in Evernote, Read It Later makes this process even easier. Read It Later gives you an easy way to copy text from a website to read later in Evernote. The service’s bookmarklet makes reproducing the contents of a webpage simple with just the click of a button, and the iOS app comes with Evernote integration built-in. What’s good about that is it allows you to take your archive of pages on the go. I also recommend you check out Instapaper, another great app that functions a lot like Read It Later. Livescribe smartpens are great because they keep a digital record of the things that you write and draw with them, but if you don’t have one, FastFinga could function as a suitable replacement. This iOS app lets you write your messages by hand on your iPhone, iPad, or iPod Touch. You can link up your Evernote account and store the messages you’ve written there. The service’s handwriting recognition will transform what you’ve written into searchable text, which is really cool if you ask me. Twipple isn’t the most well-known or widely used Twitter client for iOS devices that’s out there, but it integrates with Evernote really well. With Twipple, your tweets can be saved to notebooks and tagged, allowing you to refer back to them later. This is especially useful considering Twitter Search only displays tweets for up to 2 weeks. Okay, this isn’t an app as such, but I felt I had to include it here because it is very handy. @myEN, which Mark covered a while back, is a Twitter account that lets you save tweets straight into Evernote. Using this service is simple. All you have to do is follow @myEN on Twitter and you will be direct messaged a link that will let you link up your Twitter and Evernote accounts. Afterwards, just add @myEN to the end of the tweets you would like to save. Evernote already allows you to record voice notes, but they aren’t searchable and you have no cut and paste functionality. 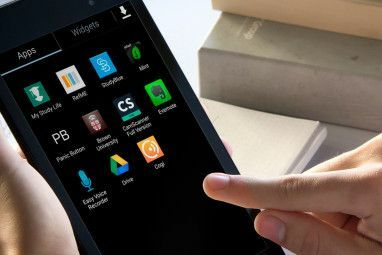 With Voice2Note, however, you can convert audio notes into text to make them easily searchable. Simply connect your Evernote account and the first 30 seconds of your notes will be transcribed. 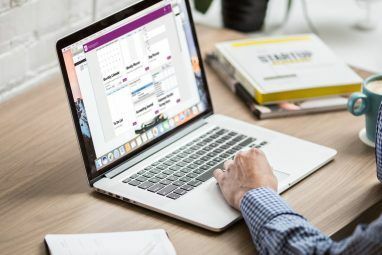 If you aren’t a fan of Evernote but you like the idea of a web clipping utility, be sure to check out Saikat’s article on the 5 best Evernote alternatives Ditching Evernote? Check Out 5 Free Web Clipping Alternatives Ditching Evernote? Check Out 5 Free Web Clipping Alternatives Read More . What are some of your favorite Evernote add-ons? You're welcome. Appreciate the comment! 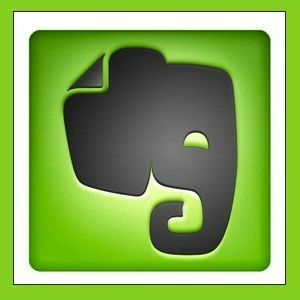 Does anyone know of any good Evernote "sidekicks" for non-smartphone users? Yes, I don't have a smartphone, I'm a poor college student. Thanks for the tips! Most of those I already do. I'm looking for even non-cellphone apps. Just other things in general that can help make Evernote even more useful (I do know about the Evernote Trunk). There probably isn't much, but I thought it was worth a try to ask. Thanks again. if you haven't found anything suitable in the meantime, you could also ask this question on MakeUseOf Answers. FastFinga looks really useful. Thanks for sharing this wonderful list. I think I might check this out later. Thanks for the list again. You're welcome, Randy. Glad you like the list! A long tap on the address bar in the Droid browser presents a choice to ' Share to'. I use this frequently to save a page I'd like to read on a larger screen later. I was almost afraid of a weird feedback when I saved this page to Evernote! Shameless self promotion: I have written my own minimalist text-only iPhone app for Evernote called Rhinote - QuickText. It let's you get in, create your note and get out and back to what you were doing.